I am completely and utterly bonkers about Halloween! I love everything about it. Carving pumpkins, decorating the house with cobwebs (mostly I just leave the real ones up), buying lots of sweeties for all of the Trick or Treaters and once or twice (ok maybe more) I’ve even donned a witches costume. Told you I was bonkers! So we’ve got a giant cauldron full of sweets and draped fake cobwebs everywhere but something is missing… no not Johnny Depp dressed as a vampire… we need spiders! I find that the fake spiders sold in shops are still a bit too realistic for my tastes, which run to chronic arachnophobia. Bubs would probably have a conniption too if she saw one, so this year I’ve decided to make cute pompom spiders. 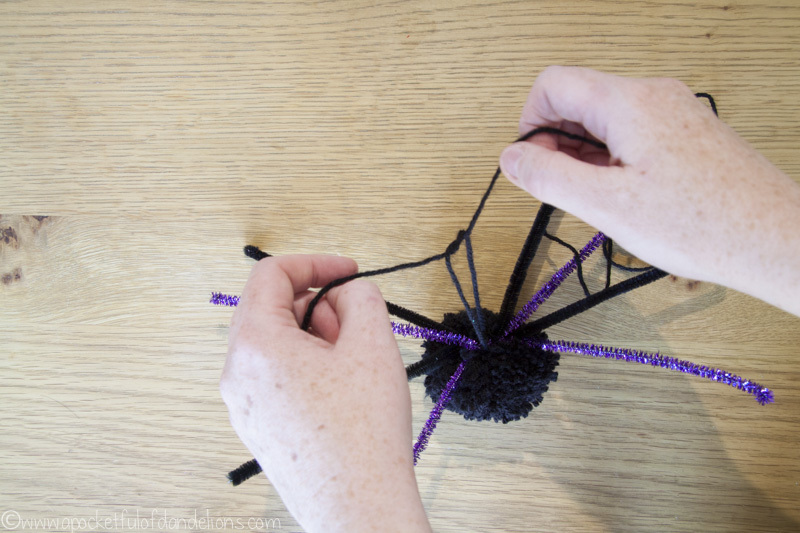 Use the black yarn make your pompom, making sure to leave two long strings of yarn. These will be used to tie the legs onto the body. 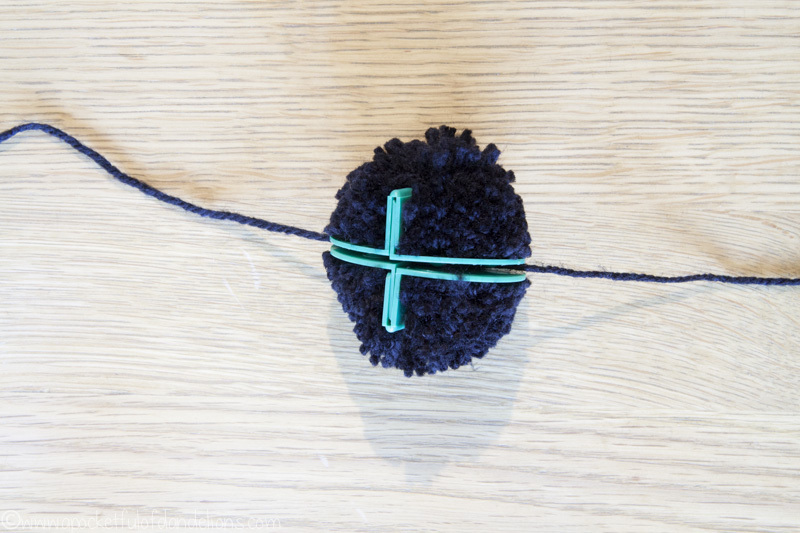 Trim any long tufts on your pompom and fluff it into the shape of a ball. 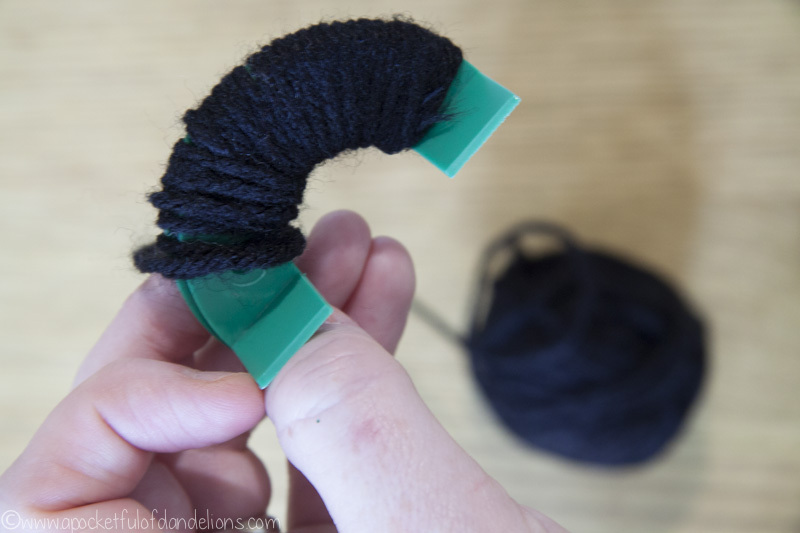 Take your four pipe cleaners and lay them one above the other. 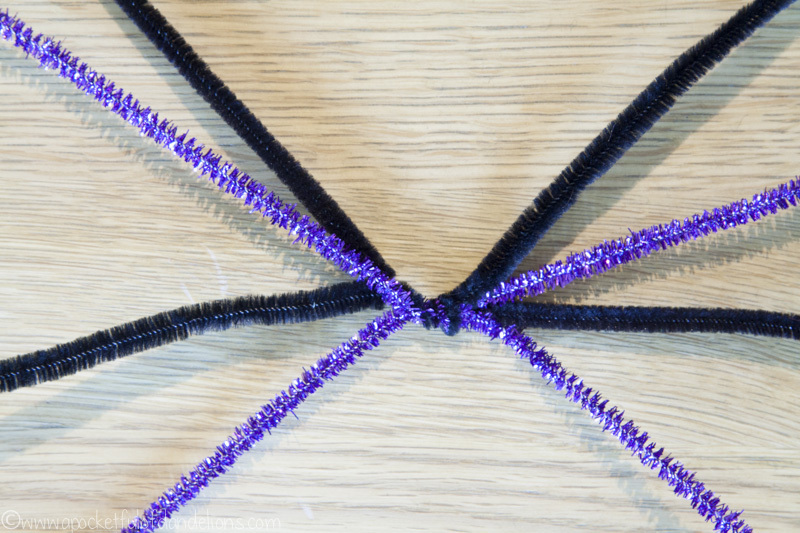 Twist the middles together then, using the two strings on your pompom, tie the legs tightly to the pompom and cut one of the strings close to the knot. Thread the remaining string onto the darning needle and push through to the top of the spider’s body. You’ll use this to hang up the spider. Apply a generous dollop of glue to the back of one of the googly eyes/buttons and stick to the front of the spider. Repeat for the other eye. Finally, bend each leg in the middle and at the end to form little knees and feet. Now hang up your spider and eat a sweetie… or three. 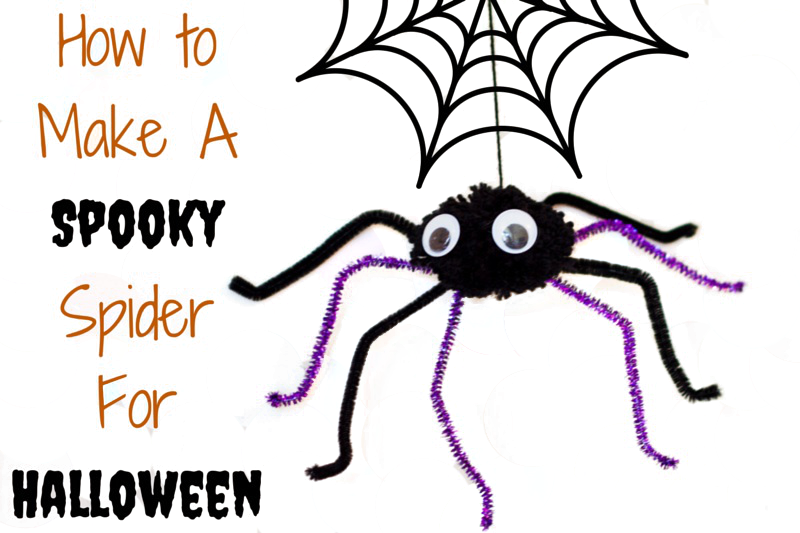 Do leave me a comment if you make a spooky spider as I’d love to see it! They look very cute! Definitely not too spooky, especially with glittery purple legs!